The first virtual currencies (cryptocurrencies) appeared in 2009 with the emergence of Bitcoin. Since then, they haven’t stopped growing and new alternatives have emerged. This article will provide a practice guide to obtaining Bitcoins via Bitcoin mining. What can we do with a cryptocurrency? A while ago it could be seen as something temporary, but nowadays we see that more and more places accept cryptocurrencies, and there are even countries that have ATMs where you can exchange real money for virtual currency. Even Dell in its US online store used to accept payments with Bitcoins, although due to low demand this payment option was discontinued. Bitcoin has a very high value compared to the rest of the cryptocurrencies, which makes it the main or most important among all virtual currencies. The Bitcoin is a decentralized digital currency, which means that it is not regulated by the government nor the banks; it is governed in a certain way by the users. There are two types of people in the world of Bitcoins: people who validate transactions and people who don’t. When someone wants to send Bitcoins to another person, these people validate such transaction; the personal password of the person sending Bitcoins is validated, as well as the amount sent and their previous transactions to validate that the money being transferred existed before. This information travels in blockchain to give an order and thus be able to make the transfer. This blockchain is defined between the users that validate it. How does it work? Each person proposes an algorithm of order and the one that is elected, wins Bitcoins (12.5 Bitcoins). There are currently several ways to obtain Bitcoins. One of them is by receiving payments for a service offered online, another can be buying Bitcoins (exchanging real money for virtual currency), and finally we have Bitcoin mining, which is the focus of this article. One of the first things we will see is how to mine Bitcons from websites. That is, there are websites that allow us to obtain Bitcoins by clicking on advertisements. As an example, let me show you BitcoinMine, which in an entertaining way allows you to “mine” or obtain this virtual currency. Without further information, let me show you how to do it. Then, we will go to the “Dashboard” or the main screen where we can see everything we can do on this site. This website shows a miner who is taking Bitcoins from a mine… In order to use the web, he asks us to click on several ads that are in the “See Ads” section. There are ad boxes that will give us 10 points (we must keep them open for 10 seconds) and others of 30 points (we must keep them open for 30 seconds). Once the ad has been opened and the points have been obtained, we can exchange them for Bitcoins. At the same time, if we go to “Mine”, we can see a miner pulling out coal. Once a day, we can change the coal obtained and exchange it for Bitcoins. 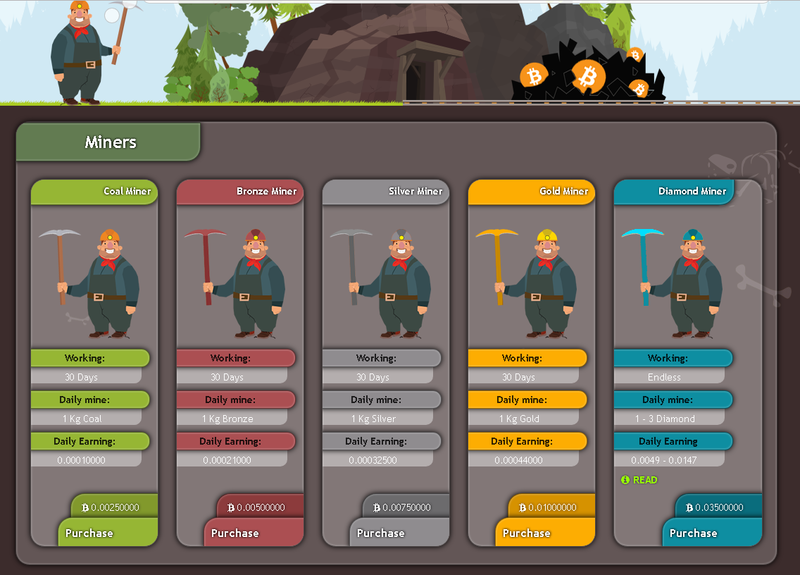 At the beginning, the platform gives us 1 miner that lasts 5 days. Then we must buy another with the Bitcoin obtained from the clicks of the ads. At first it may seem a little complicated, but in the long run we can see results (after 3 or 4 months). When you reach a certain amount, this platform allows you to transfer your funds to your Bitcoin wallet. There is also another alternative to mine which is through Coinhive. Coinhive is a website that allows us to use our PC, or that of our friends, to obtain income. That is, both our PC and the PCs of the people to which we have passed the link, mine for us and thus, we get more income. 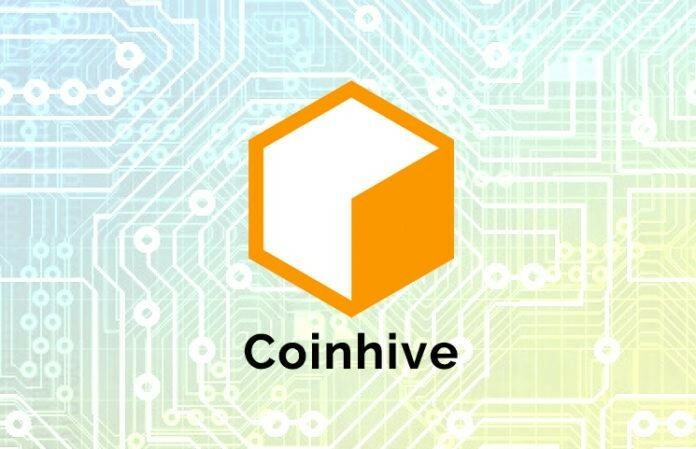 For this type of mining, we must register at: https://coinhive.com. Once this is done, we will see our dashboard with the income that we are generating. This site offers us a code to place on our website and thus is able to mine with the PC of whoever enters that website. 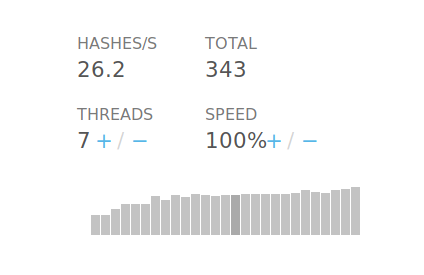 As you can see, we can set the amount of threads and speed that we want to invest from our PC to mine. Everything that we are mining and winning will be reflected in our dashboard, which is the image shown above. As with the previous site, after having a certain amount, we can transfer it to our Bitcoin wallet (it will charge us a commission). Just as I showed you that you could mine with Coinhive (using our PCs), there are also malicious people, who use our processor to mine without our consent. Dinno Vezzoni graduated as a Systems Analyst. He has more than 4 years of experience as a QA Engineer. He founded Underc0de, a community of information security and hacking. Dinno likes to research about computer security and technology news.